We’re so lucky to get to live, work and play in beautiful British Columbia. Stunning image of Coal Harbour c/o www.vancouverdine.com. That means we’re not only minutes from the world-renowned “Seawall” that meanders along the water’s edge and through spectacular Stanley Park, our eyebrow threading studio is surrounded by businesses rich in cultural diversity. So next time you come and see us a Blink, why not make a day of it and explore our special district. We are proud to carry on the tradition of eyebrow threading, a 6,000-year-old threading technique from India to artfully and accurately shape eyebrows. And today, it’s not just our #BlinkBeauties who’ve come to love threading but a growing number of guys too!. As you recline in our comfortable studio chairs and enjoy a post-treatment brow massage, you can sip a freshly brewed cup of delicious Chai tea (another Indian tradition we’re proud to provide). After visiting us for one of our award-winning treatments (including eyebrow threading, eyebrow and eyelash tinting, and facial + body waxing), you can venture into Coal Harbour to experience the best of the businesses that comprise Vancouver’s multicultural mosaic. Not to mention that stunning cityscape with the ocean view! If you’ve skipped breakfast to get to Blink Brow Bar you can enjoy great coffee and a scrumptious breakfast wrap while you pause to soak in the breathtaking view of Coal Harbour and the North Shore from inside 6 Degrees Eatery. If you head there for lunch or dinner (or late night drinks!) you can enjoy their inspired Tapas menu, which showcases the best locally-sourced ingredients. Their West Coast fusion take on Spain’s savory dishes is not to be missed. 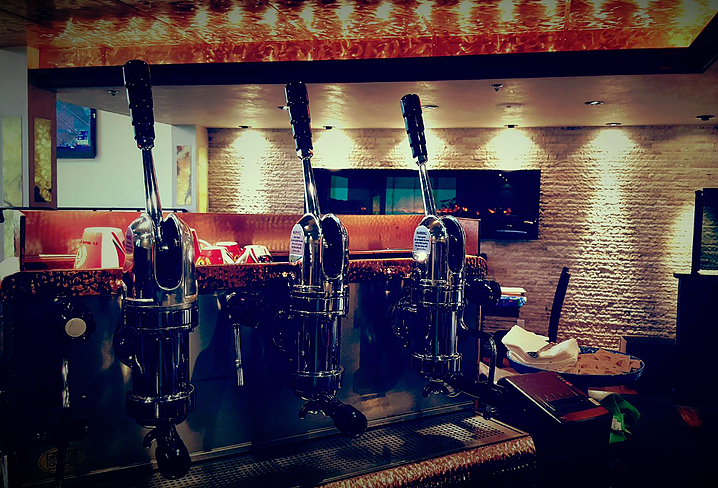 Speaking of West Coast dining, one of the city’s most popular Coal Harbour eateries is Cardero’s – delicious food for every palette prepared by Executive Chef Jason Kleinfeld and live music every night. The location is pretty hard to beat too – see image above. 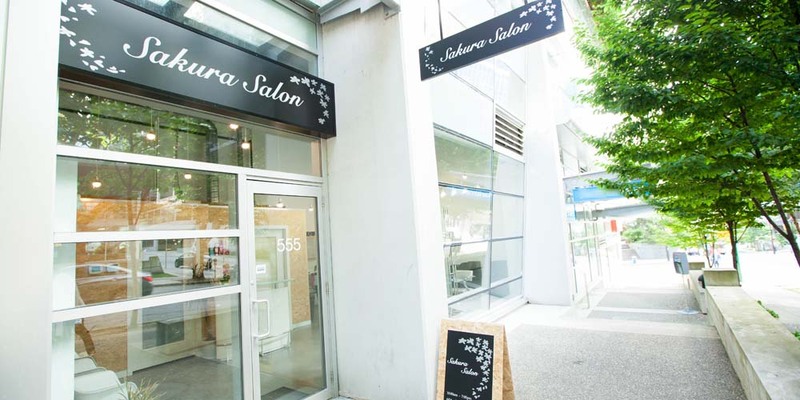 Just down the street from us at Blink you can experience the latest in Japanese hair styling with the charming experts at Sakura Salon. Their team of professional Japanese stylists work exclusively with products and treatments from Japan for perms and styling, plus they do hairstyles for parties, hair and makeup for weddings, and kimono dressing. Since it’s back to school for many of our #BlinkBeauties we should mention that Wednesdays are Student Day at Kakura so you will receive 10% off any salon services if you bring your valid student ID. 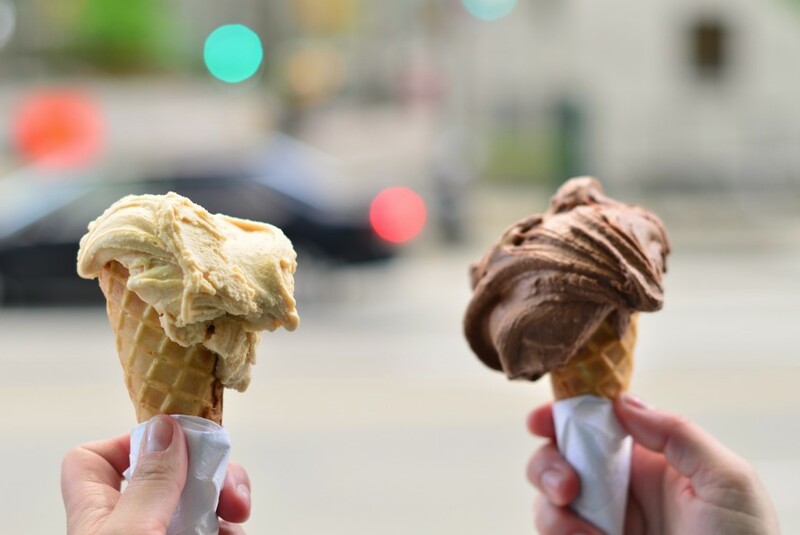 Treat yourself to the finest Italian gelato at Bella Gelateria. Their carefully hand-crafted gelato is made using seasonal ingredients for simply unbeatable flavour. Watching what you eat? You need to visit because their latest creation is a sugar- and dairy-free gelato! You’re welcome (or should we say prego?). They also offer sorbetto, Italian cakes, and Milano coffee. You can enjoy your treat inside or get it to go so you can keep exploring Coal Harbour. 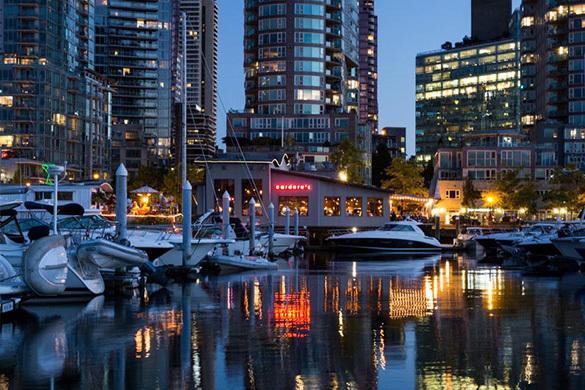 Good times, great food, and a stunning view await you at the family-owned Mahony & Sons location in Coal Harbour. 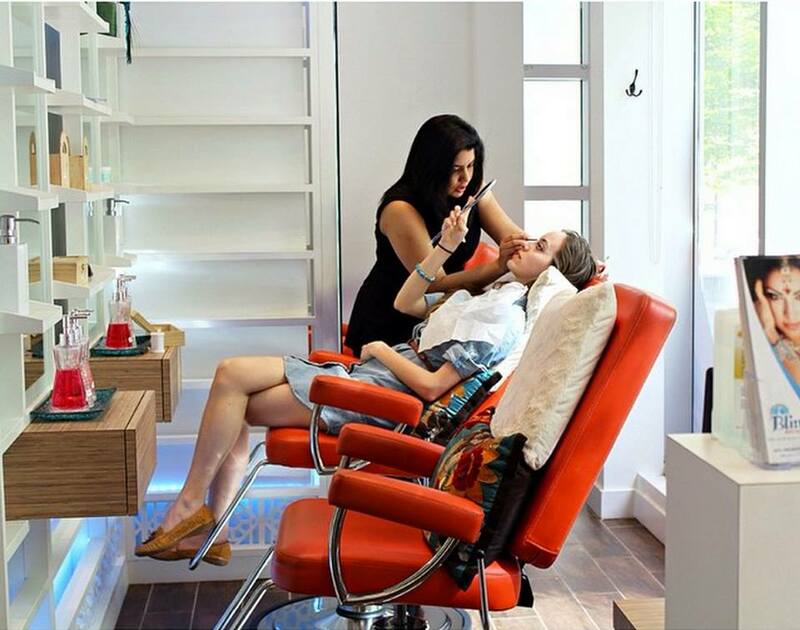 After you get your brows done at Blink you can relax on their patio that overlooks Burrard Inlet or enjoy the Celtic inspired decor inside. Their menu is a wonderful mix of traditional and contemporary pub fare and it goes without saying their drink menu is always a crowd-pleaser. Gluten free? They’ve got a menu just for you. 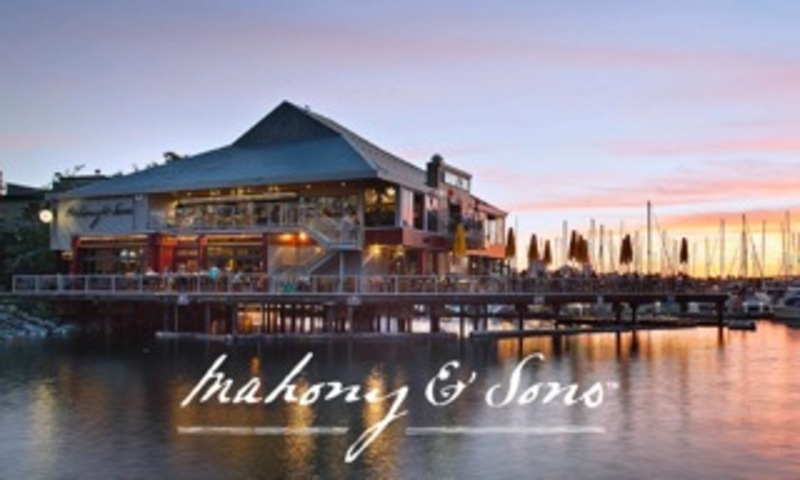 In addition to regular live music bookings, Mahony & Sons offers Irish Sundays with Irish pints at $6 all day, all bottles of wine half off after 6 p.m. on Wine Wednesdays, and a variety of specials during Happy Hour from 3 to 6 p.m. Monday to Friday. Sláinte! Shopping is an experience at Urban Fare in Coal Harbour. Their weekly specials feature a variety of wonderful fine products and fresh foods for just about every kind of cultural fare. This location also boasts a restaurant, cappuccino bar, floral design, catering, and inspired gift boxes. You can score points with your coworkers with The Office Snack Box or dazzle out of town guests or loved ones with countless Lotusland treasures tucked into The British Columbian Box. These are a great idea for birthdays, welcoming a new baby (hungry parents need to eat! ), or even for The Health Nut in your life. These are some of our favourite Coal Harbour destinations, but we’d love to hear from our #BlinkBeauties about your finds. Share with us on Facebook, Twitter and Instagram. In the meantime, enjoy the end of summer with bold and beautiful brows. Come and see our eyebrow threading specialists for our practically painless technique. Call Blink Brow Bar for an appointment or book online. Our Coal Harbour shop is open daily in downtown Vancouver at 577 Bute Street.